Good Morning—today is Friday and I hope that the approaching weekend provides some relief to the long days we have all had. 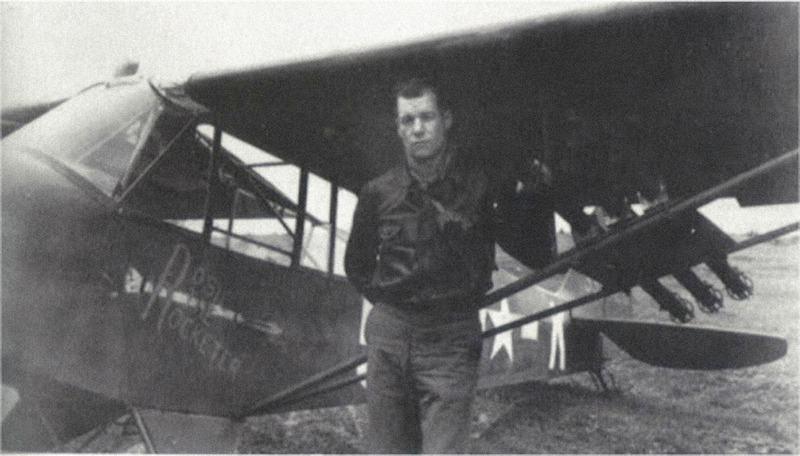 This week I want to present a story about the Piper Cub in World War II. I wrote about this about a year ago but recently I have had two emails, from friends, with articles about the L-4 and they told me I needed to write about this. They were a little surprised when I sent them the link for the article that I had written so I thought it would be good to revisit the subject. The Piper L-4 Grasshopper of WW2 was the military version of the highly popular pre-war J3 Cub, by which name it was more widely known to service personnel. Of the 5,500 L-4 variants produced between 1942 and 1945, some went to liaison squadrons and of the USAAF, but the vast majority went to US Army Ground Forces, for use as Air Observation Posts (Air Ops) with the Field Artillery. 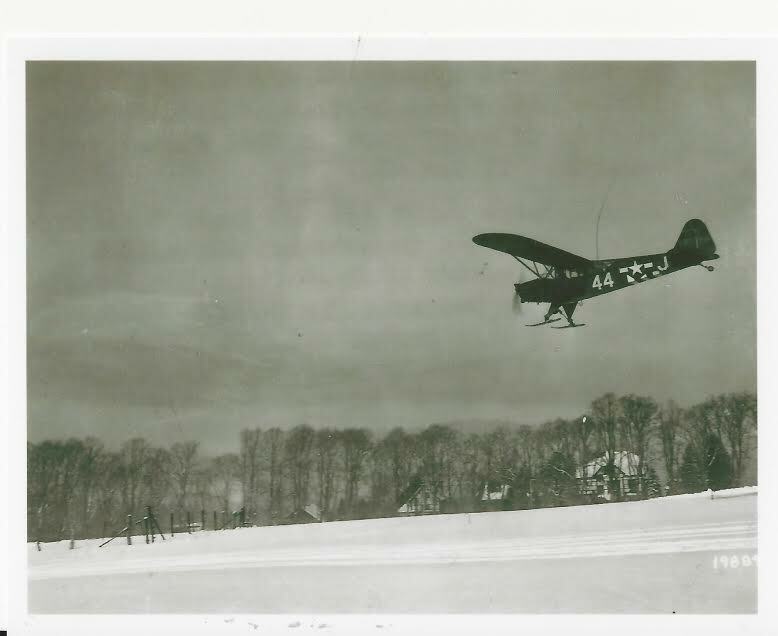 In both air and ground forces, the L-4 was also used as a flying Jeep, among other things carrying priority mail and personnel between HQs and command posts. 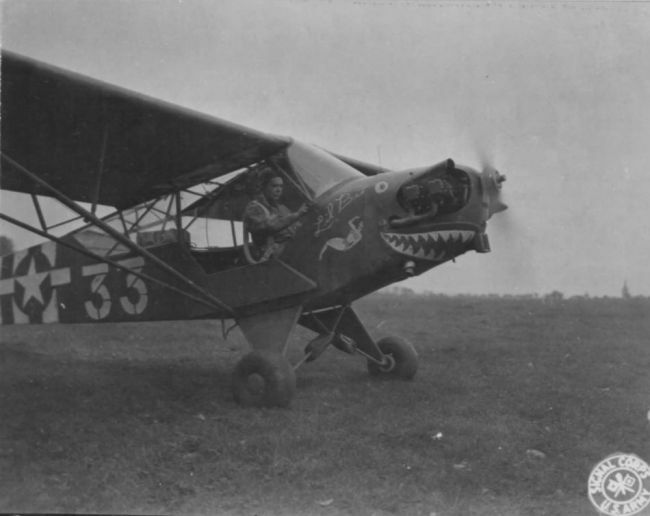 Its Continental engine produced only 65 hp, yet the L-4′s excellent short field performance enabled it to operate from the smallest of improvised airstrips, including roads, adjacent to command posts. f these are still flying with, in recent years, an increasing number being restored to their original military configuration and markings. A very interesting fact about the L-4, and LST operations, was the introduction of the Brodie Device. A cable was suspended between two outriggers mounted to the side of a LST. Dangling from the setup was a harness with a loop that could slide down the cable. 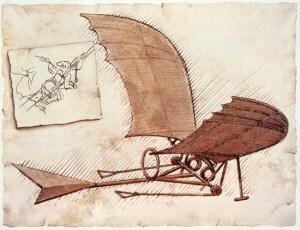 The plane would be suspended from the harness, the pilot would climb a rope ladder to the cockpit, apply full power, and the plane would fly down the cable. When it reached the end of the cable, the plane would detach from the harness and take flight. 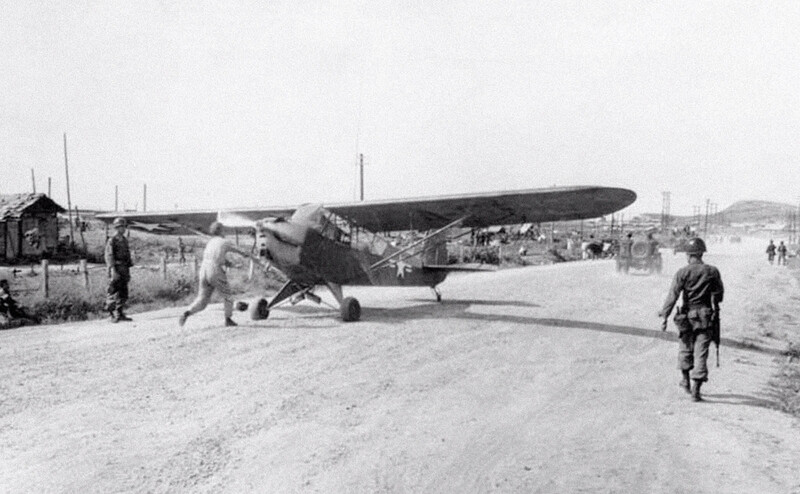 To “land,” the pilot would fly the plane into the harness, where it would catch on a hook mounted on the top of the wing. The plane would then slide down the cable until it hit the end and come to a swinging halt. It would then be brought onboard, serviced and be readied for another flight. The video below shows how the system worked. I hope everyone has a good weekend and will enjoy time away from work and aviation. Enjoy time with friends, and family, and remember life is short. Take some time to enjoy the world around you.